We had an endless wonderful Autumn season here in the mountains of the California with colors lasting from mid-September until far into November, but winter has suddenly arrived! The latest storm is clearing, and there are sun beams in the White Mountains. 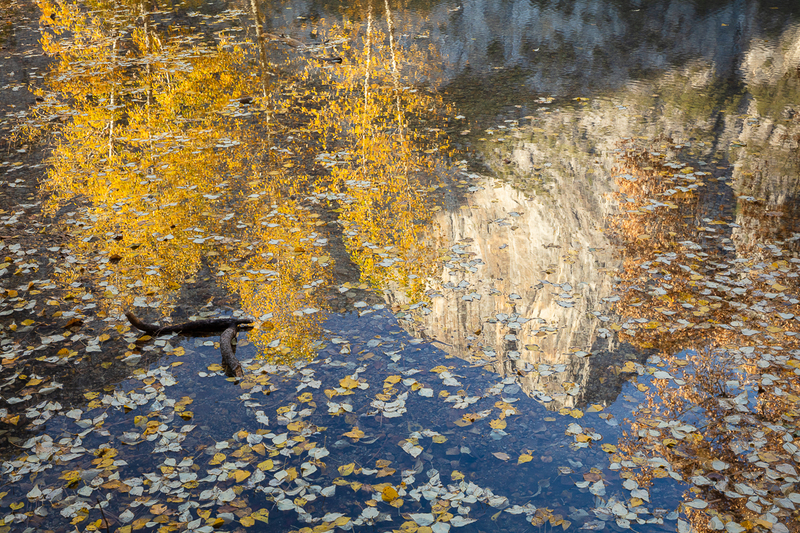 This image was made exactly one month ago during a visit to Yosemite. I had a splendid day in the Valley, and I wish there were more to be had in my life. I live in a beautiful area in eastern California, but Yosemite is magic (and access to the Park is limited to us here on the Eastside). The only viable access is Tioga Pass, and in the Spring and Autumn it can be dicey! This particular spot is well known in the Valley, and I had an idea in my mind regarding what I wanted to achieve here in the morning. I was a bit surprised when I arrived; my “inhouse GPS” led me to believe the light would be right an hour earlier than it was. 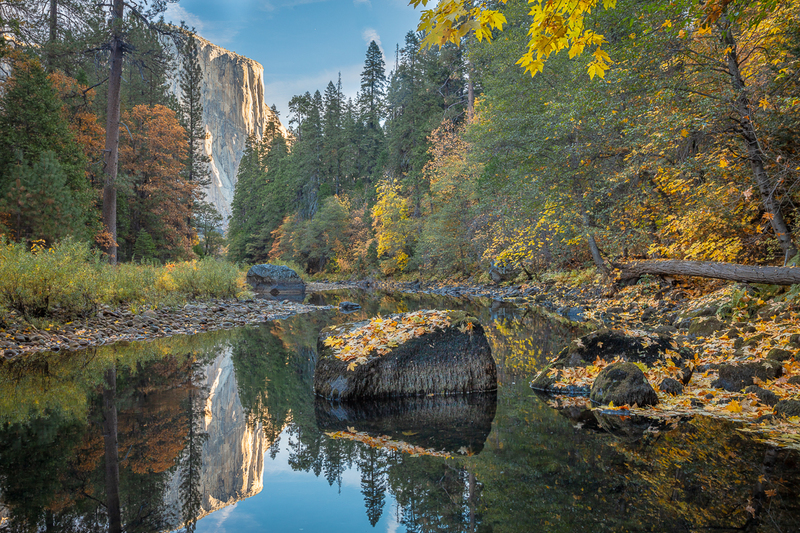 The lesson with this trip was that despite all my years in Yosemite, my vision has matured – after this capture, I strolled along the back of El Capitan meadow and there were images to made everywhere. I can’t wait to return. Now, with my years of experience, this particular capture was easy to achieve. I was very active this last Autumn, both sides of my brains were engaged and working together, and this left me free to really appreciate the moment. Here are more moments of that day.